The U.S. Department of Justice announces criminal charges against a North Korean government spy in connection with the 2017 global WannaCry ransomware attack and the 2014 Sony Pictures Entertainment hack. According to multiple government officials cited by the NY Times who are familiar with the indictment, the charges would be brought against Park Jin Hyok, who works for North Korean military intelligence agency Reconnaissance General Bureau (RGB). The November 2014 Sony Pictures Entertainment hack was done in retaliation for the studio's production of a comedic film, "The Interview," a comedy about two journalists who are recruited by the CIA to assassinate North Korean leader Kim Jong Un. In June 2014, the Pyongyang government also denounced the film as "undisguised sponsoring of terrorism, as well as an Act of War" in a letter to U.N. Secretary-General Ban Ki-moon. The Sony Pictures hack was devastating to the company and exposed over 200GB of its confidential data, including upcoming movie scripts, sensitive employees data, celebrities phone numbers and also the high-quality versions of 5 then-unreleased films. The attack also wiped out 70 percent of the company's computer capability, erasing all the data on about half of Sony's personal computers and more than half of its servers, and wiped from computers scores of confidential emails that were later published by Wikileaks. 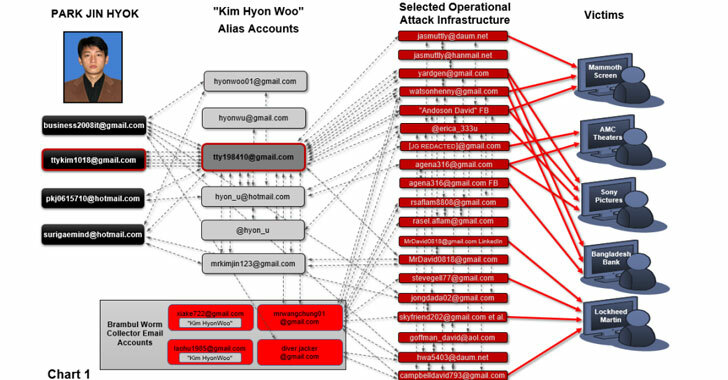 At the time, the U.S. authorities said that they traced the source of the attack to North Korea, though they did not name the hackers. Now, three government officials familiar with the indictment said the DoJ is planning to announce charges against Park Jin Hyok, also known as Pak Jin Hek, who is also linked to the Lazarus Group. 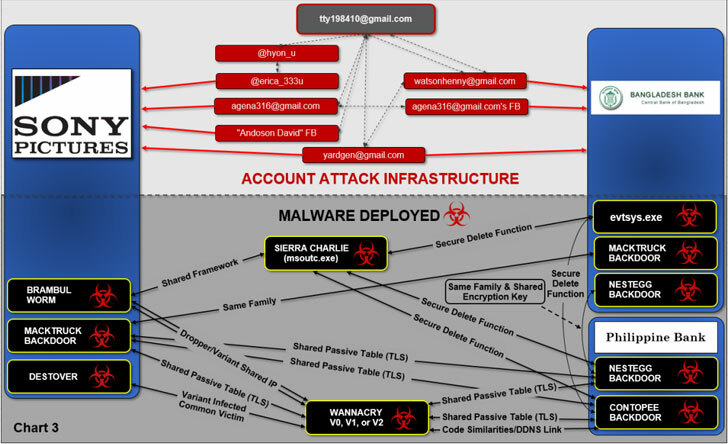 Lazarus Group is an alleged North Korean government baked hacking group which has also been implicated in the attempt to steal $1 billion from the Bangladesh Bank in 2016, and to the 2017 WannaCry ransomware menace. The WannaCry virus wreaked havoc last year by crippling about 300,000 hospitals, corporations, government agencies and other organizations in 150 countries within just three days. 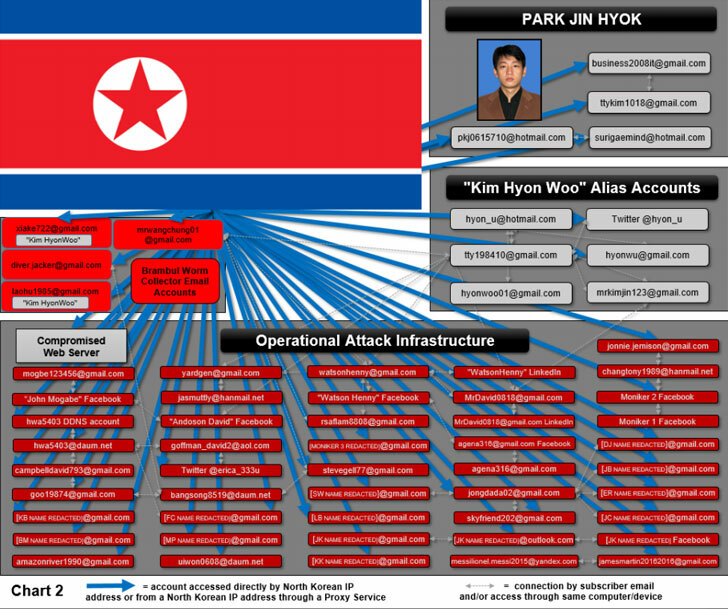 Hyok allegedly worked in China from at least 2011 to 2013 but returned to North Korea shortly before the attack on Sony Pictures in November 2014. The federal arrest warrant against him was issued by the US in June this year but only unsealed today. The U.S. authorities have previously blamed North Korea for the both the WannaCry and Sony Pictures attacks, but this is the first time they have publicly named a suspect in the crimes. The U.S. Justice Department has not commented on the indictment yet.